As e-businesses contemplate their next move in the new electronic marketplace, many are finding great prospects in affiliation. Although not a new concept, affiliation is catching on with even some of the biggest players. American Online, for example, is spreading the word that for every new membership generated via a click from an affiliate Web site , that operator will collect a payment of $15 (US$). The only stipulation is that the new member must stay with AOL for 90 days. With the expected onslaught of affiliations about to blanket the Web, innovative concepts are emerging. The most promising new idea appears to be the ability to tailor messages to each affiliate Web site. AOL's pitch on an apparel site might differ greatly from its message on another type of site. Within that concept will be further individualized affiliate measures. For example, as customer profiling becomes more sophisticated, it may even be possible to employ technology that reads customers' cookies and directs personalized messages to individual users. According to Forrester Research, affiliate marketing is booming. "It's ideal from the marketer's standpoint because they only pay something when there is an action they feel is worth paying for," said analyst Jim Nail. 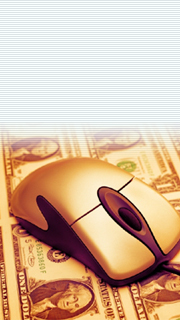 Both the sponsoring Web site and the affiliate stand to gain mightily from affiliations. The sponsoring Web site has the new advantage of being able to link its visitors to new products or services, and the affiliate has the advantage of attracting visitors who may not otherwise have considered the new site. As with so many other elements of e-commerce, Amazon.com is emerging as a leader in affiliation. Its program, now four years old, pays sites handsomely to link to theirs. Sites that lead users to Amazon.com and actually generate sales might receive up to 15 percent of the sale price of the books, and five percent for other merchandise. Affiliated sites should be chosen as business partners would be. Standards, business practices and caliber of presentation should equal your site. Start slowly and build affiliation business as you would any other new venture. Remember, your site has to have the infrastructure and delivery capabilities to accommodate an increase in volume of business. Monitor affiliate sponsors' service continually. Know if the sponsor's Web site is operating properly or causing high levels of consumer dissatisfaction. Chances are that if users perceive the sponsor's site as a negative, and your logo appears on that site, you will be the indirect recipient of some negative customer feelings. Affiliation can be as advantageous in business-to-business situations as it is in business-to-consumer arrangements. For example, if your site sells Web site design services, perhaps you might feature an affiliate marketing program like LinkShare on your site. Small to moderate-sized businesses that use affiliation judiciously stand to gain more than an increased customer base. Once a business name begins to appear in high profile places throughout the Web, users may begin to perceive the company as something bigger and more established than it really is. For businesses that already have a major standing in e-commerce, affiliation is a way to maintain that presence and position. Furthermore, the easier a site can make it for potential customers to gain access, the better. For big sites, affiliation is a low-risk, potentially high yield proposition.